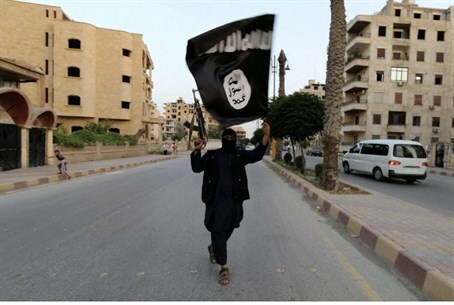 More than one Jewish convert to Islam has joined the Islamic State (ISIS) terror group in Syria, a French official revealed Monday - days after a French Jewish teenager was reported to be working for the Islamist extremist organization. More than 1,000 French citizens have joined ISIS, the official told Channel 2, based on recent figures from the French Interior Ministry. While the official stressed that people "of Jewish extraction" are a "handful" of projected foreign nationals in Syria, the statement surfaces amid heightened fears about ISIS and the Jewish world. Meyer Habib, a member of French parliament, told Channel 2 that the jihadists have become a hot topic in the Jewish community, but that no one could confirm whether or not their loved ones had joined the group. But if the French Jewish teenager would be confirmed as the first official Jew to join the group, "it really is the end of the world," he said. Another official, a French rabbi, told the daily that the idea is "inconceivable." "There are many rumors swirling and we hope an official source will update us," he said. "Some say the Jewish girl converted, and that is also disconcerting." On Saturday, the British Daily Mail revealed that a French Jewish teenage girl had joined ISIS, allegedly as part of the 100 women said to have flocked to the group from France. Alarm followed the report, as well as confusion - as ISIS is known for not only extremism against the West in general, but for its anti-Semitism in particular, and its cruelty toward women.